Why Choose Us for Shipping? 1. We are a Mumbai based company moving people from one safe port to anywhere in the world – we are one of the few shipments moving organizations that specialize in international removals. Plus we maintain a network of agreements with other international moving companies throughout Australia and the world - so wherever you are leaving from and going to, we can help you with a great quote and fantastic service. Our network ensures you have local experts with local knowledge helping with your removal to or from anywhere in the world - even if your move is just within the Perth metro area. 4. We are Shipping owned – We ensure that you are personally looked after every step of the way and provide you with a person to talk to at your uplift right through to your arrival at your new destination. We have been operating out of world port location since inception - and built an amazing network of like-minded customer focused removals and relocation companies that meet our high standards of service. We service all of the major world port - wherever you want to move to, we can help! We are service providers for all kinds mechanical repair works to be carried our on-board or at on shore. Services includes providing logistic supports, skilled team and operators, trained personals having proper knowledge of working at all ports in India. We operate at anchorage for maintenance, repair works required on board. Our agency services supports our foreign and domestic clients to operate comfortably at all ports in India . Our major aim is to meet customers requirement and expectation for the services we render. Highly qualified team consists of well experienced officials, engineers, logistic supports, and timely supply of replacement equipments or spares makes us first choice among the regular clients. 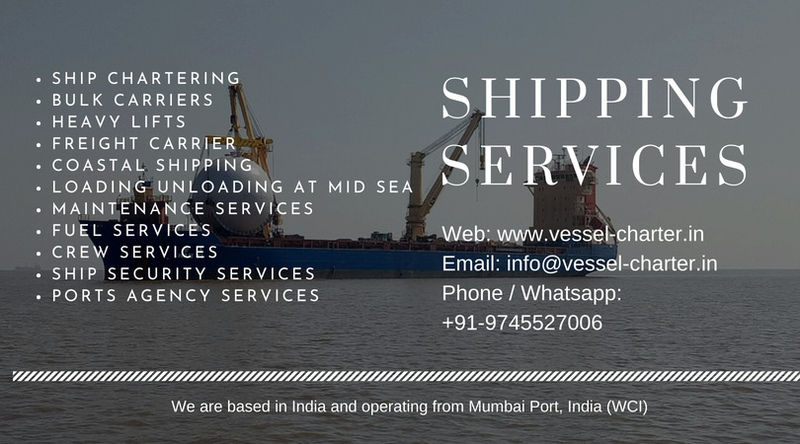 For all kinds of services at ports in India, kindly do contact us..
Meeting customers requirement and expectations is our priority. Get in touch with us along with your complete detailed job work or requirement at ports in India.